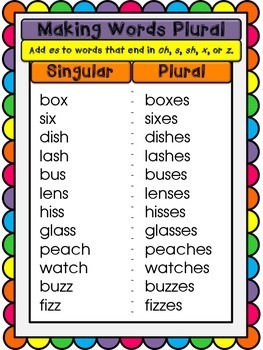 Here is a beautiful, FREE, full color set of 7 (count 'em!) 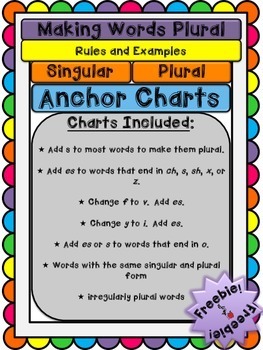 anchor charts that include rules for making singular words plural. 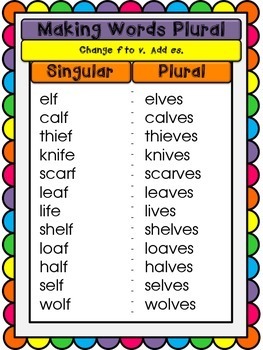 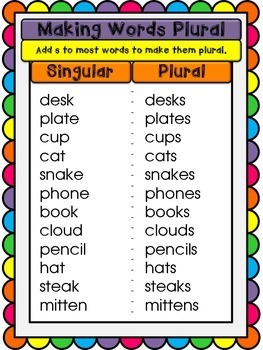 Each anchor chart includes multiple examples of how words are changed from their singular forms to their plural forms!